Unlike many other American cities, the skyline of Anchorage, Alaska does not consist of skyscrapers and urban landmarks. 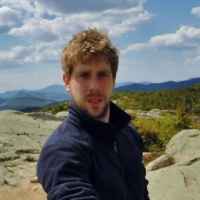 Instead, as you may expect from an Alaskan town, it’s made up of mountains—the Chugach Mountains, nestled into the expansive Chugach State Park. 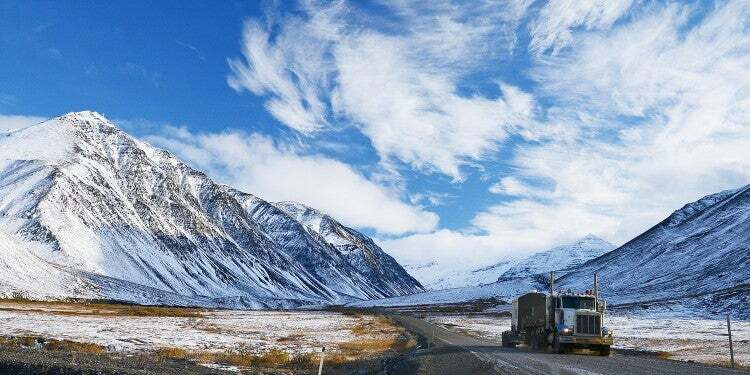 Past the foothills around Anchorage, you’ll find dramatic landscapes typical of Alaska. The park’s towering mountains, wild rivers, calm ponds and pristine forests each offer a variety of outdoor activities surrounding them. Chugach State Park is without question the best place to go adventuring and camping near Anchorage. Image from The Dyrt camper Heather T.
Calling Chugach State Park Alaska’s most accessible natural playground is not an exaggeration. Most of the park lies within the Municipality of Anchorage, many access points and trailheads located merely 20 minutes from the city center. No other park in Alaska is so easy to reach as Chugach State Park, a major reason for its immense popularity among campers. “A short drive from Anchorage, Eagle River and even Wasilla brings you to a pristine piece of nature.” —The Dyrt camper Sierra S.
Image from The Dyrt camper Jonathan V.
Situated in the northern region of Chugach State Park, Eklutna Lake is one of its most popular attractions. 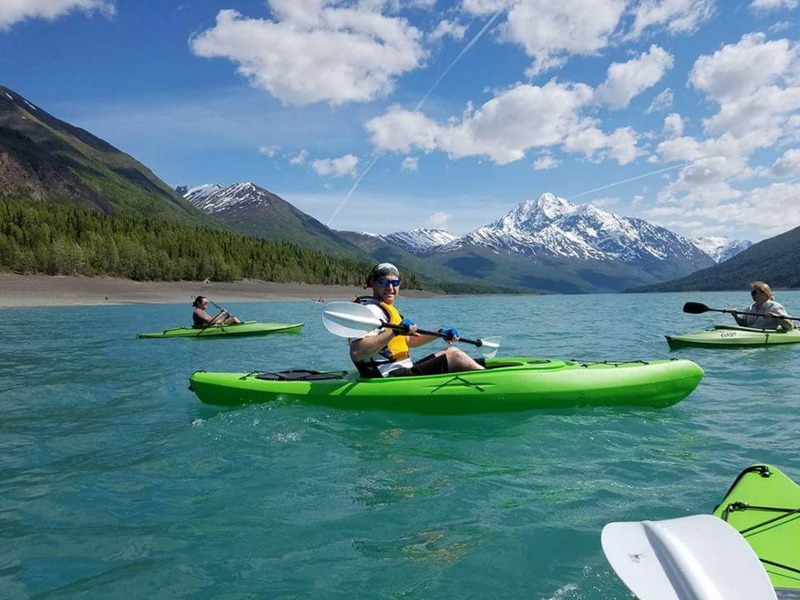 Fed by the Eklutna Glacier, the lake boasts wonderfully clear water and is a great destination for kayaking and other activities. The Eklutna Lake Campground offers kayak rentals as well as bicycle rentals. Paddle across the lake or pedal around it on the Lakeside Trail. Alternatively, there’s also great hiking and horseback riding in the area. 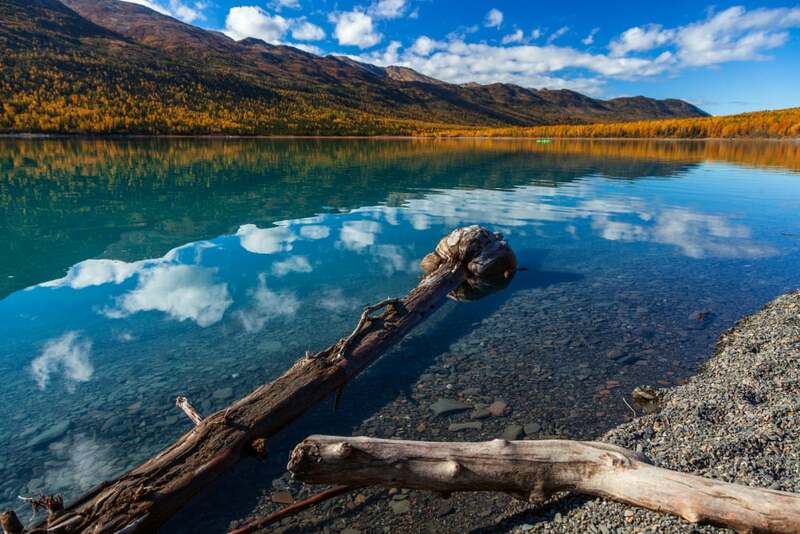 “Eklutna has been one of our favorite campgrounds since we moved here. It has a bit of everything. 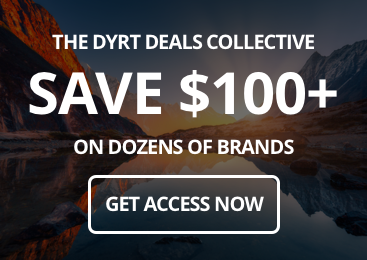 Kayak, water sports, hiking and biking! 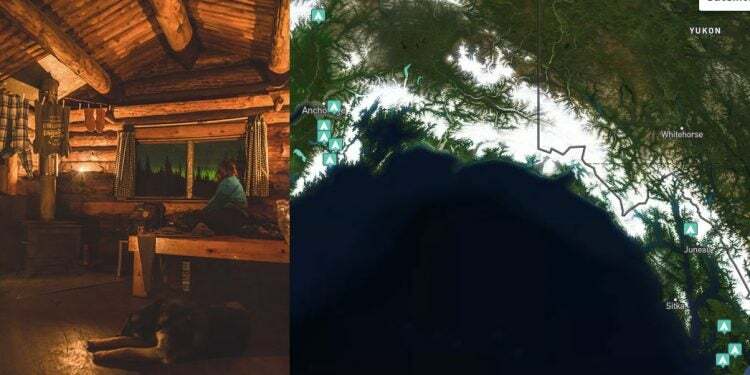 We had an amazing time last night.” —The Dyrt camper Kristina C.
Widely considered to be the most climbed mountain in Alaska, Flattop Mountain attracts hikers of all kinds. Even if you don’t want to hike the 3 miles to the summit, you can still enjoy spectacular views of Anchorage on one side and the Chugach Mountains stretching out into the distance on the other. There’s a number of shorter loop trails below the summit, which are ideal for people with disabilities or less experienced hikers. All trails start at the Glen Alps Trailhead, incidentally also a popular stop on sightseeing tours from Anchorage. In fact, there’s even a direct shuttle bus from the city center to Glen Alps—the privately owned Flattop Mountain Shuttle. Arctic Valley is one of the first Chugach State Park access points north of Anchorage. A popular winter sports destination in winter, the area is a hiker’s paradise in summer. Numerous trails crisscross Arctic Valley and, even despite its proximity to the city, it’s relatively low on visitors. June and July are prime wildflowers months, but arguably the most fun activity begins in August. 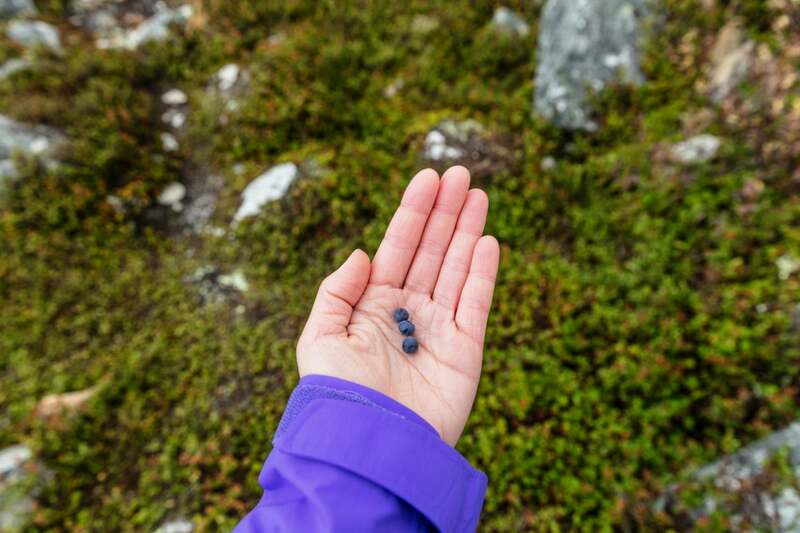 This is late-summer in Alaska, a time of year when all kinds of wild berries blanket the area. Bring a basket and fill it up with cranberries, blueberries, crowberries, and mossberries. Remember that this abundance of berries is also attractive to bears, so make sure to make noise while hiking and carry bear spray. You might also spot ground squirrels, bald eagles, and moose here. 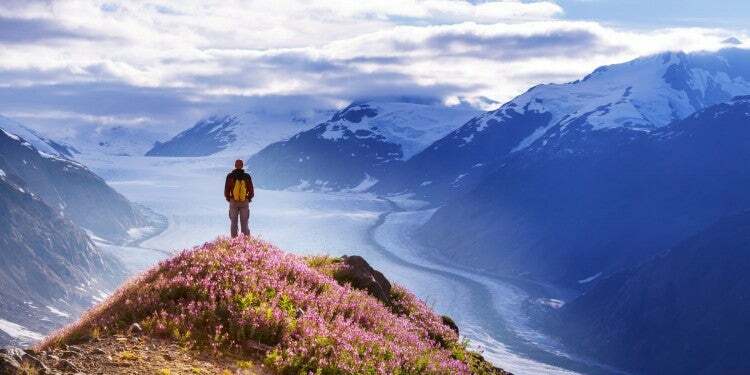 Encompassing the western part of the 200-mile-long Chugach Mountains, Chugach State Park is huge. It comprises 495,000 acres of pristine nature, larger than Los Angeles and New York City combined. It’s one of the largest state parks in the U.S.—only Alaska’s Wood-Tikchik and California’s Anza-Borrego Desert State Park are larger. On top of that, Chugach National Forest, located east of the park, is America’s second-largest national forest. 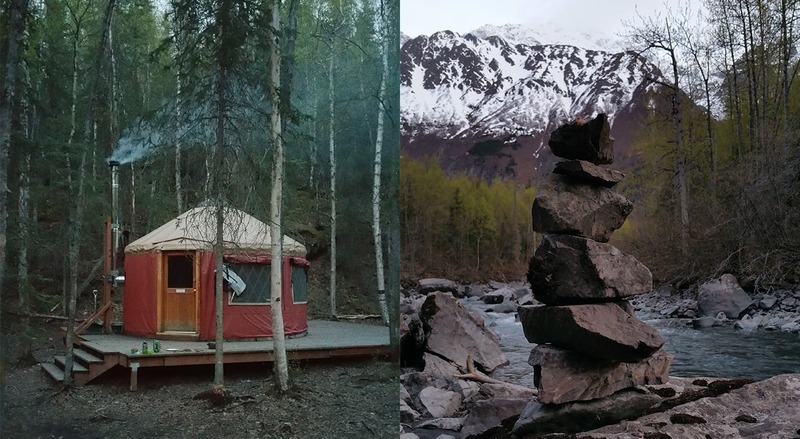 Image from The Dyrt camper Lizzie H.
Travel Alaska claims that “no other wildlife-rich habitat on Earth is so close to a major city.” When camping in Chugach State Park, you’ll sleep in an ecosystem inhabited by almost all Alaska’s terrestrial mammals. Some animals are so abundant that they’re regularly spotted in Anchorage’s neighborhoods, too. The park is home to more than a thousand moose, about 80 black bears and 40 brown bears. Other high-profile mammals that call the Chugach Mountains home are mountain goats, beavers and even a wolf pack. 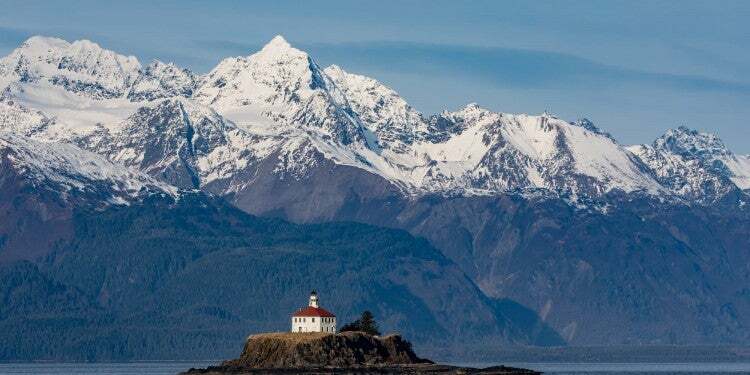 In addition to mammals, Chugach State Park, which encompasses both mountains and shorelines, is also a great place to see salmon runs, bald eagles and even beluga whales in the Turnagain Arm. 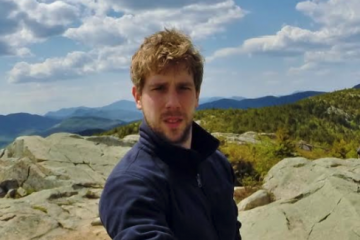 “The Turnagain Arm is beautiful, and if you are lucky, you might see beluga whales. Portage glacier and Girdwood are just a little farther south and worth exploring as well. The wildlife is amazing. 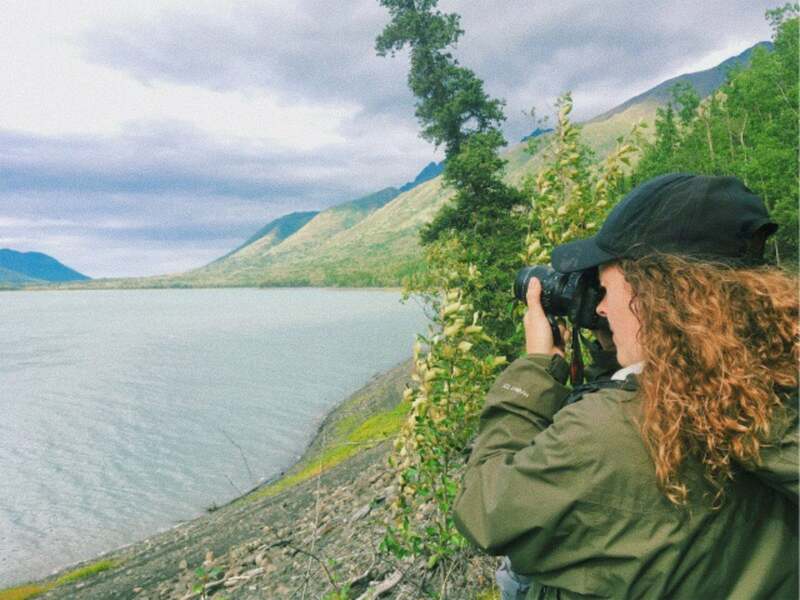 You can see eagles, sheep, moose, and bears.” —The Dyrt camper Melisa A. The expanse of Chugach State Park in Anchorage’s backyard means countless weekend getaways for locals, but travelers and adventurers pining for a longer stay will find the campgrounds in Chugach State Park as comfortable and excitement-packed options for your next camping getaway. 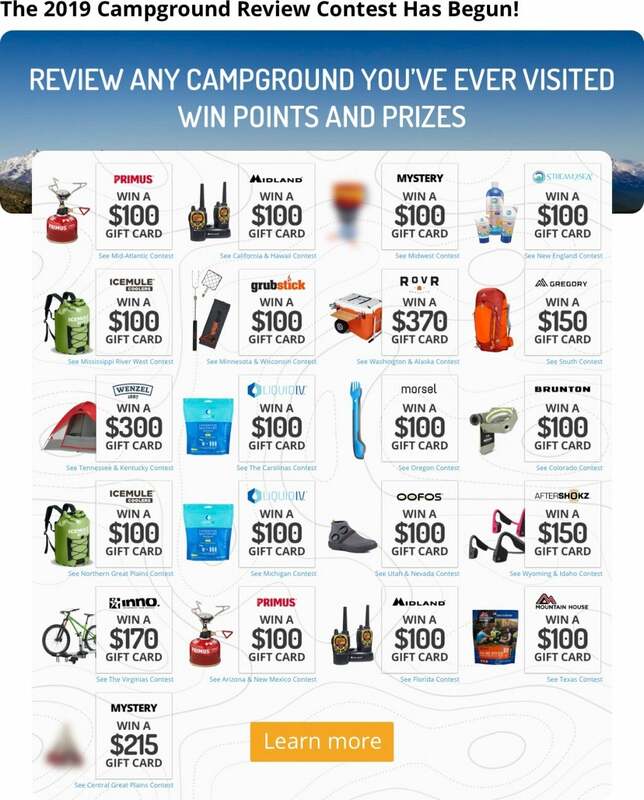 Here are a few of our favorites, reviewed by real campers on The Dyrt. Located on the northwestern shore of Eklutna Lake, the Eklutna Lake Campground has 50 campsites, as well as bathrooms, picnic tables and water. This campground is super-popular in summer thanks to its many outdoor activities. You can rent bicycles and kayaks, and go hiking, fishing and horseback riding. The nearby ice cream shop only makes it more attractive! “Pristine campground. There are lovely wooded campsites nestled between several beautiful mountains. Bathrooms close, with showers, laundry, and ice cream down the road a little ways. There’s bike and kayak rentals. There is also 4 different public use cabins along the hiking trail you can reserve” —The Dyrt camper Lizzie H.
Images from The Dyrt ranger Jonathan V.
The Eagle River Campground lies along the wild Eagle River just north of Anchorage. With its 57 individual campsites, it’s a wonderful place to fish, watch whitewater rafters, see bald eagles and skip rocks. 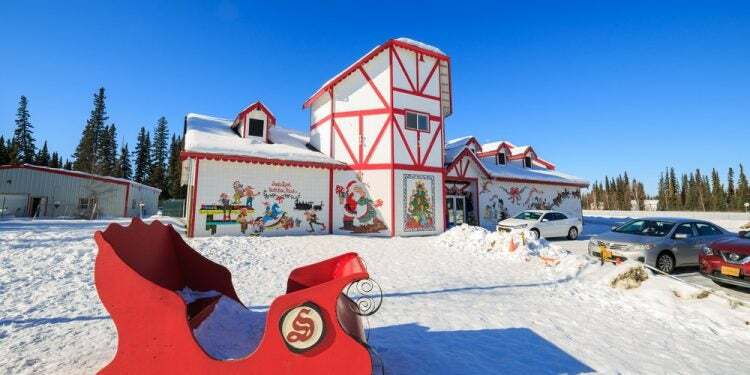 The setting is absolutely wild, yet it’s mere minutes from the town of Eagle River with its small-town amenities. “The grounds were very clean and nicely done. Was nice for a last minute camping trip because it’s so close to town while still feeling like you’re away in nature. 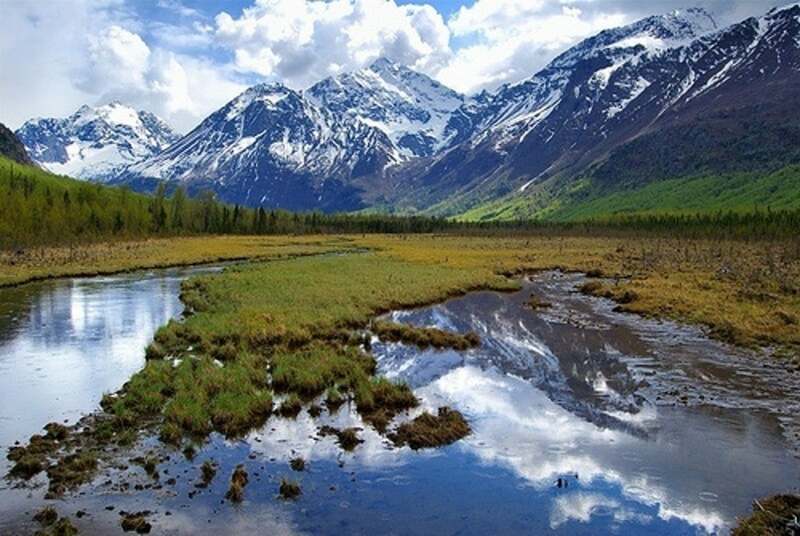 Close to the river which is relaxing.” —The Dyrt camper Cindy T.
Situated along the scenic Seward Highway and the Turnagain Arm southeast of Anchorage, the Bird Creek Campground is a great place for adventurous family outings. It has 22 campsites and all regular campground facilities, such as water, bathrooms and picnic tables. There are plenty of things to do here, ranging from fishing to hiking and biking. The campground’s main claim to fame, however, is its epic wildlife watching opportunities. Its location on the shore of the Turnagain Arm provides great whale watching and you might also see salmon, bald eagles, moose and bears. “Very clean facilities, lots of space between sites and countless activities. We spent most of our time hiking in and around the area. Many cool and unique hikes including one where you have to use a manual pulley thing to get across a huge river. We also went looking for beluga whales in Turnagain Arm, which is just across the way from the campground.” —The Dyrt camper Shannon C.